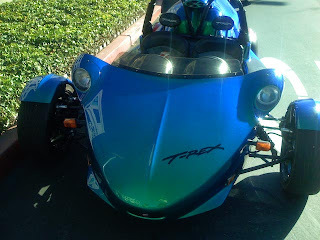 Last fall I was out in Cupertino and came across a T-Rex outside of the Apple headquarters. These car/motorcyle cross vehicles made by Campagna look killer. The particular models that we saw were 100% electric and sounded beautiful. Apparently performance and handling is impressive with a low stance and instant torque. Most impressive is that these are a great example of thinking outside of the box. 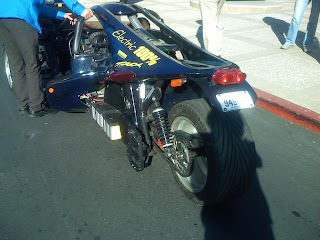 Electric powered cars are a good step forward, but there is a real ceiling that is hit when you are trying to apply it to a 3,000 pound vehicle. 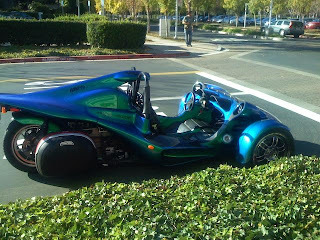 I assume they are relatively expensive but if they could be mass produced, it would be the coolest car on the street!